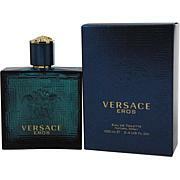 Versace Eros by Gianni Versace EDT Spray -Men 3.4 oz. 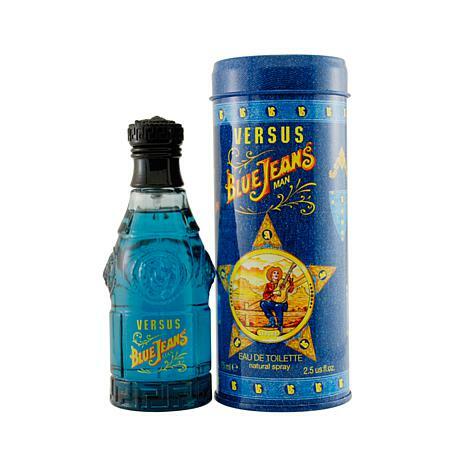 Launched by the design house of Gianni Versace in 1994, Blue Jeans EDT Spray 2.5 oz (New Packaging) is a mens fragrance that possesses a blend of Lavender, Vanilla, Citruses, Rose, Bergamot Blue Jeans is recommended for casual use. This item may not ship to Alaska, Guam, Hawaii, Puerto Rico, or the Virgin Islands using a ground shipping method. Please select an air method when ordering this item for those locations. All Orders must also have a physical address and not a P.O. Box. Alcohol Denat. I So Alcohol 39-c, Acoua Water, Parfum I Fragrance, Benzyl Salicylate, Linalool, Hydroxyisohexyl 3-cyclohexene Carroxaldehyde, Limonene. Coumarin, Citronellol. . Ben2ophenone-2, Citral. Isoeugenol, Geraniol. Benzyl 'benzoate, Ca. 60730 / Ext, Violet 2. C.i. 42090 /blue I.